At this time of year, although I eschew formal New Year’s resolutions about losing weight or exercising more, I do like to conduct a brief review of what I planned for the year and define a new set of expectations for the year to come. (8) continuing to improve my grasp of marketing, on both my own behalf and that of Five Directions Press—including finding more ways to get reviews. I actually did pretty well this year. I finished The Vermilion Bird as planned, and Five Directions Press published it in December 2017. I also finished The Shattered Drum—a surprise—except for one set of comments from my writers’ group. Once those come in, I’ll do another revision and read-through, then off it goes to typesetting. Most likely it will appear in print and e-book sometime between May and September 2018, depending on what else we have in the pipeline. And I have begun work on Song of the Siren, set in 1541–1542 and the first book in my new Russian series, Songs of Steppe and Forest. Siren has a long way to go: right now it is a full set of story events and main character profiles plus about two serviceable chapters and some scenes, but with luck, it will reach first draft status sometime in 2018. So much for my own work. Five Directions Press did bring out five books, although The Duel for Consuelo replaced A Holiday Gift, which will come out next year. I did conduct a full set of interviews, from Helen Rappaport talking about her companion volume to the PBS miniseries Victoria, now entering season 2, in January to Heather Webb discussing her Last Christmas in Paris, co-authored with Hazel Gaynor, in December. In between we traveled to the US South, Shakespearean England, early twentieth-century Egypt, World Wars I and II, and Viking-era Norway, as well as other times and places. My thanks to all the authors who spoke with me, and I’m looking forward to a new crop of guests next year. In web-related things, I did manage to maintain my blog schedule and stay up-to-date on the Five Directions Press site; I even updated my own site for the release of Vermilion Bird, although it lay pretty dormant until then. I did my bit on social media, including running two book teaser campaigns (the second still underway) for Five Directions Press and lurking in various GoodReads groups whenever possible. So between that and the interviews I can claim to have done reasonably well on Goal 7. As for marketing, I’m not sure I will ever really get a hold on it, especially since the techniques that work seem to change without warning every few months. But my limitations in that area aren’t for lack of trying, more a result of having only so many hours in the day. Check back next week, and I’ll have a new list of goals for 2018. 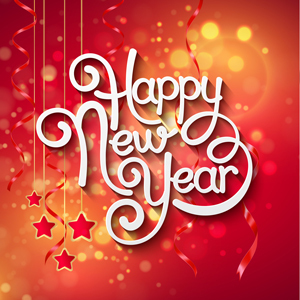 Meanwhile, I wish you all a safe and joyous New Year! In the twenty-plus years that I’ve been writing fiction, I can’t say it ever occurred to me to co-write a novel. If I’d stopped to think about it, I probably would have decided that it sounded more difficult than writing alone. Sharing the authorship of an academic article is hard enough, but at least two people can discuss the evidence and the argument and, with luck, agree on who has a more fluid pen and who a better grasp of statistics (or paleography or whatever your particular auxiliary discipline happens to be). But how do you share a sense of character or writerly style? I’m not talking about critique groups here. As anyone who has followed this blog for even a dozen or so posts knows, I credit my writers’ group with getting me past the “reading books about fiction without really absorbing the information” stage and into the “here’s how you craft a story” stage. It’s no accident that I thank them lavishly at the end of each book: I truly don’t know how I would produce a finished product that made me proud to share it with the world unless it had first profited from their questions and comments. Nor am I talking about the kind of co-writing that Joan Hess did for Elizabeth Peters by finishing Peters’ novel for her after Peters passed on, as she described in my September interview. Again, that’s a single writer’s vision replaced by a slightly different one that tries to honor the first—a complicated task, to be sure, even without the emotional trauma of performing such a service for a friend, but still one person at a time. But as Heather Webb explains in this December conversation, it is possible for two writers to cooperate from beginning to end on a work of fiction. This lovely epistolary novel, set mostly during World War I but with a frame story in the late 1960s, grew out of a previous project and took shape through a prolonged Internet exchange that bound not only the characters but the authors in a deep and engaging friendship. For how that happened, listen to the interview. And while you’re there, please don’t forget to support the New Books Network, so that the interviews on this and many other subjects can continue to enrich your lives. I give my time and the use of my equipment for free, but I nonetheless pledged to support the service. I look forward to hosting many more conversations with authors, whether they write alone or together. But we can keep the podcasts going only if everyone chips in. 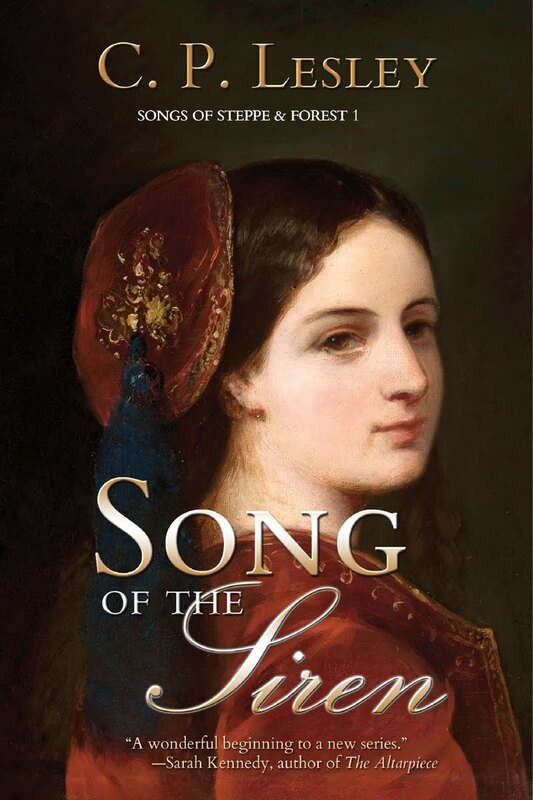 As always, the rest of this post comes from New Books in Historical Fiction. When we first meet Thomas Harding in 1968, he is facing what he believes will be his last Christmas and mourning the loss of an unnamed woman who clearly meant a great deal to him. He carries with him bundles of letters, which he plans to re-read on his trip to Paris. The letters sweep us back to the very beginning of World War I, then trace the entire course of the conflict. One of them he has not yet seen. Most of the correspondence takes place between Thomas and Evie Elliott, the younger sister of his best friend, Will. We see the early hope and idealism of the troops fade as the realities of trench warfare sink in. We watch from the inside the transformation of women’s roles in society because of the absence of men. We become caught up in the developing love between Evie and Thomas, the grief suffered by families who lose their loved ones to war, the frustration of being left behind, unable to take part. We revel in the guilty pleasure of riffling through other people’s things, reading words not meant for our eyes. Other voices fill in circumstances that Evie and Thomas take for granted or have no reason to know. And the drama slowly builds as Armistice Day approaches, and the war that was supposed to end all wars creeps to a close. The letters are vivid and real, each voice distinct. And by the end of Last Christmas in Paris, Hazel Gaynor and Heather Webb have shepherded us along a journey through the tragedy of war and the triumph of survival, the experience of love lost and gained. And for those of you who celebrate, the time is here! If you follow me on social media, you may have noticed I’ve been pretty quiet this week. This post explains why. Although one subject of this blog is technology and the writer’s life, I actually spend little time talking about technology. There’s a simple reason for that: how much technology does an author actually need? A computer and word-processing program, a browser and a search engine for those quick answers, maybe a novel-writing program to handle the organization and create e-books—that about covers it, unless you want to self-publish, in which case you must also be able to produce decently formatted files. These basic needs don’t require a lot of mastery or discussion. But as I (re)discovered this week, these days for most of these basic things to work, you also need Internet access. For at least four of the last ten days, my Internet connection has been down for hours at a time. Some of the resulting problems were immediate and obvious. My work requires a lot of e-mail messages, and I could neither send nor receive them. I have to track tasks in an online database that I could not update. I keep important files on Dropbox, but the system had no way to record changes or sync edited files between my computer and my tablet. I had to reschedule my current interview for New Books in Historical Fiction three times. The book teasers I routinely add to the Five Directions Press Facebook and Twitter pages of necessity languished in obscurity. I have a cell phone, from which I could send emergency messages—and not receiving constant streams of e-mail does have its advantages, although somehow the “buy this NOW” messages managed to reach my phone every two minutes regardless. And since I’ve refused to adopt software that exists entirely in the cloud, the damage wasn’t as severe as it could have been. I could still work and write and prepare this blog post—even though publishing the post would, of course, have been impossible. But the glitches that really threw me were the ones I didn’t expect. Word had no record of my recent files, which it apparently stores somewhere other than my computer. The edits I made to The Shattered Drum did not transfer to iBooks even when I plugged in my tablet. The text message I sent from my phone registered, but the answering texts from my friend remained in the ether until my Internet connection revived, even though the replies were sent hours earlier to a phone that was supposedly on the 4G network, not the wireless one that connected to the nonfunctioning modem. Even people who did have working connections could not upload files to shared Dropbox folders that I would then see when my access returned. And as a result of the lost connection, I couldn’t distribute the press release for my new book, The Vermilion Bird, even though I’d managed to create it in my old, non-cloud version of InDesign. So after going to a ton of effort to see the book in print by early December, in time for the holiday gift-giving season, I didn’t have a chance to tell anyone by e-mail or follow up on social media until the middle of the month. On a list of inconveniences this one barely merits a mention, but I found it mildly distressing even so. That said, the story has a happy ending: the cable technician showed up this morning and, through a happy fluke, at once identified the problem: a cable that a careless leaf raker had managed to cut, not through but just enough to make the service unpredictable. The tech replaced the cable, and voila! The pluses and minuses of twenty-first-century life as a writer and editor returned full force. And the much-delayed interview with my incredibly patient guest went off beautifully. Meanwhile, I’ve acquired a whole new appreciation of the gifts the Internet brings to my life. 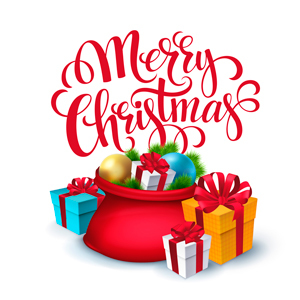 Best wishes for a wonderful holiday season to all my readers. 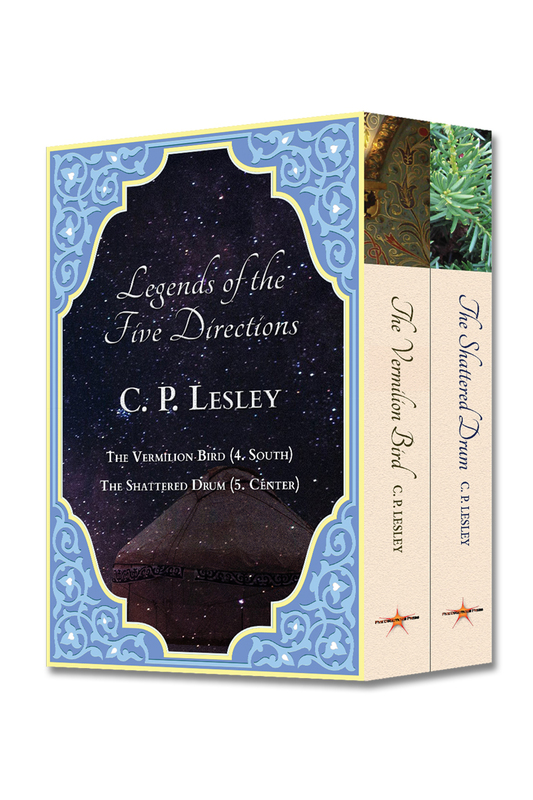 And if you’re looking for that last-minute present for a lover of historical fiction, set in a place a bit outside the mainstream, don’t forget the Legends of the Five Directions—especially The Vermilion Bird. 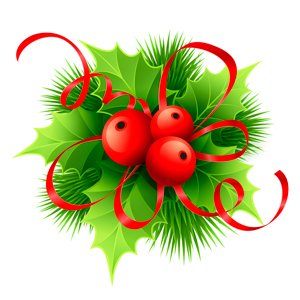 Images from Clipart.com, nos. 109097555 and 110053976. If you follow me on social media or even read this blog regularly, you’ll know that as of this week The Vermilion Bird (Legends of the Five Directions 4: South) has seen the light of day. As of a few hours ago, Amazon.com had still not linked the print and e-book editions, but if they don’t do it on their own in the next twenty-four hours, I will send a message to the support services. They’ve always proven themselves prompt and efficient in the past, so I’m sure it will soon be taken care of. The release of a new book is always exciting for an author. A published book has the heft of reality in a way that an electronic manuscript can’t match—even in the days of e-readers and tablets, which do let a writer read her own work in a format indistinguishable from e-books put out by a press. Writers hope that the release of a new novel in a series is equally exciting for our readers. I know it is for me: I love it when I discover that one of my favorite characters has a new adventure for me to share. But before I get to excerpts and reactions from readers to the latest Legends novel, let me remind you that until Sunday, December 10, the e-version of The Swan Princess is on sale for $2.99. This will certainly be the last promotion I run for some time—and given the poor results so far, even with paid Facebook ads, perhaps the last for a long time. Also, a quick word about the New Books Network (NBN), the parent organization that hosts my interviews on New Books in Historical Fiction. The nonprofit NBN runs entirely on volunteers who supply their own equipment and record on their own time, but the costs of managing the website and storing the 4,200 interviews that already exist—the NBN adds 100 a month and now serves 25,000 listeners a day—are considerable. On the plus side, the network is growing in popularity; on the minus side, the costs increase as more people listen in. To close the gap, the NBN is currently running a donations campaign through Amherst College. You can help by clicking this link and donating whatever amount you can afford. As with all donations to nonprofits, your contribution is tax-deductible. And you will earn the undying gratitude of every one of the 220 hosts. We all love what we do and want only to continue producing more interviews for you to hear. 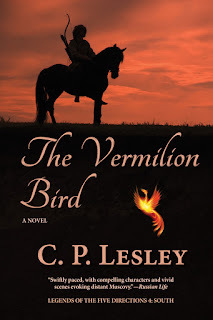 And now, a short excerpt from The Vermilion Bird, followed by a couple of early responses (and don’t forget to check out those authors’ books, too!). “Auntie! How can you?” Maria, tempted to shrink into herself like a tortoise into its shell, instead gripped the hand of the hated Roxelana, whose fingers returned the favor with equal strength. “Stop squeezing me,” she hissed at her stepmother, who narrowed her eyes and hissed wordlessly back. But Roxelana, although a general irritant, bore no responsibility for Maria’s present agony. On the contrary, she shared it. Must Auntie announce their predicament to the world? Thanks to her, every woman here knew—now, if she hadn’t before—that Roxelana had lived for years with the man destined to become Maria’s husband tomorrow, only to abandon him for Maria’s father and the respectability he offered. A hint of sandalwood and cinnamon released into the air as Roxelana shifted in her seat. Among the many perfumes wafting around the room, hers stood out: seductive, elusive, foreign. Respectability? Roxelana? As if that’s not a contradiction in terms! “We know, Auntie. We can count.” This voice, young and sweet, belonged to Maria’s sister Varvara, second of the seven living offspring. She spoke in softer tones than Theodosia. “You’re being rude, Auntie,” Maria said. Anything to deflect the discussion to another channel, although she agreed with Theodosia. Watching Papa glow like a schoolboy while her stepmother flirted and cooed left her two steps short of disgust. Parents were not supposed to act like that. As for this new match with her stepmother’s discarded lover, Theodosia was right: Papa had lost his mind. 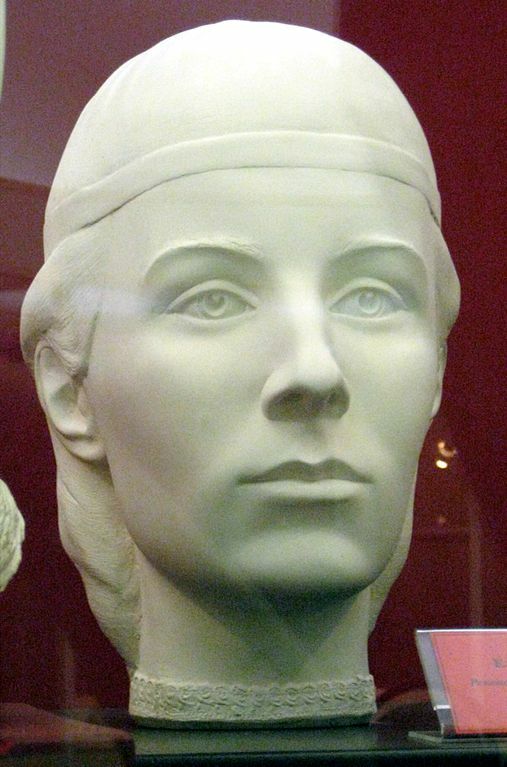 A man nine years older than Maria, and a Tatar—what would they talk about? The title of this post may raise a few eyebrows. As a historian and historical novelist, you may ask, am I not constantly revisiting the past—both the past that we can study from documents and artifacts and the past that has retreated so far into time that we can only hope that, in striving to re-create it, we don’t give birth to a monster that neither did nor could exist? But that’s not the kind of past I’m writing about this week. Instead, I have in mind the return to a piece of my own past, specifically books I have written and published, then set aside to move on to the next novel in the series. However rewarding it may be to press the buttons that take a book out into the world, there is also a moment of nostalgia, even regret, at saying goodbye to that particular setting, to those individual characters at that moment in their evolution. Although I have lived mentally in the Legends world since 2008—and expect to remain here, in various forms, for many more years—each combination of characters and incidents is unique. As I get ready to release Maria and Alexei and the rest of the Vermilion Bird cast, the need to get the word out also requires me to consider and promote the earlier books in the series. To revisit them, in a sense. Which brings me to the concept of story worlds. In brief, a story world comprises the vast combination of characters and settings that surround a series or an individual novel. Much of the story world remains invisible to the reader, but it envelops the writer, who must immerse herself in imagining not only what her characters sense and feel and think and interact with but also what they do not see: the unwritten rules of the society that govern their responses in ways they don’t question or realize. Every human community has these rules, and for better or worse we all live by them. We absorb them before we reach the age of independence, and whether we accept or rebel in adulthood, we seldom truly separate ourselves from the world around us. The same applies to literary characters. Story worlds are most obvious in science fiction and fantasy, where authors construct entire planets based on principles they perceive in our society or trends they can imagine or just wild ideas that came to them in the night. The rules governing those worlds and societies must achieve sufficient consistency that readers will suspend disbelief. In brief, if dragons can fly today, they must fly tomorrow, unless an explanatory (and explained) circumstance shows up to prevent them. But historical worlds must also be fully explored and understood, as must the intellectual and emotional circumstances driving contemporary novels, if the reader is to believe a given set of characters’ behaviors and motivations. Creating such a world and such characters takes time. In the midst of a novel—which often requires years to complete, especially at first—the story world becomes all-encompassing. It surrounds the author even when she isn’t writing. I lived in Kasimov and Moscow, then on the steppe, then amid Russia’s northern woods, then in Moscow again. Each journey was different, following a new set of characters or struggling to reconnect with the same ones at later stages in their lives, trying to understand how they might grow and change—and how they would never change, no matter how many conflicts and obstacles I threw at their heads. That’s why going back, picking up one of the books, and opening it is like taking a journey into my own history: a little strange, sometimes awkward, but often as pleasant as returning to a vacation house I once enjoyed but haven’t seen in years. Sometimes I surprise myself with research I’ve since forgotten or a section—even a turn of phrase—that strikes me as well done. Other sentences remind me that learning to write is a process, one that requires lots of practice, or as J. K. Rowling once put it, “You have to kill a lot of trees before you write anything good.” I could go back and revise, but I know I probably won’t, because other worlds and stories are beckoning. My old friends in their sepia photographs will understand, I think, why I want to move on—especially since I plan to take them with me. So with all that in mind, I offer you, too, a chance to enter my Legends story world. As noted last week, I am celebrating the imminent release of The Vermilion Bird (Legends 4: South) by placing the Kindle versions of the previous books in the series on sale in the US and UK stores for $2.99. The Winged Horse (Legends 2: East) promotion is running now and will continue through Sunday, December 3, at midnight PST/GMT. The Swan Princess (Legends 3: North) goes on sale at 8 AM PST/GMT on December 4, through Sunday, December 10, at midnight PST/GMT. The Golden Lynx (Legends 1: West) is always priced at $2.99 and is available at Barnes and Noble, the iTunes Store, and certain libraries, as well as Amazon.com. Images from Clipart, nos. 201458399, 21735960, and 2193507. It’s not a terribly appropriate topic for the day after Thanksgiving, but my latest interview at New Books in Historical Fiction explores some of the lesser-known byways of World War II. With the vast literature already devoted to the war, it’s hard to imagine that anything remains understudied, in fiction or nonfiction. Yet these two authors—Barbara Ridley and Judithe Little—approach the war in terms of the relationship between the allies Britain and France, especially the crucial turning point in 1940, when Hitler’s forces invaded and conquered France and Britain withdrew from continental Europe in preparation for its own battle against the Axis powers. In doing so, they avoid well-traveled paths in favor of questions that in some cases have a very contemporary relevance: the difficulties facing refugees, the fraying of alliances under pressure, and the brutal sacrifices made in pursuit of victory. We can, of course, be grateful not to face such harsh choices or to live in a world at war. And remember that war and displacement continue to affect thousands, even millions, of our fellow human beings, to whom it behooves us to extend kindness and compassion. Meanwhile, I hope you all had a wonderful holiday! The rest of this post comes from New Books in Historical Fiction. Note that for technical reasons, the network has listed the interview under Barbara Ridley’s name. The audio file and description includes both authors. And on a more personal note, this post also marks my fifth anniversary as the host of New Books in Historical Fiction, since my first interview aired in November 2012. For some reason, books occasionally arrive in pairs—meaning that out of nowhere a topic that has received little attention convinces two or more writers that it is novel-worthy, and those authors produce their finished products at more or less the same time. In this case, we decided to address the issues addressed by combining two shorter interviews into a single podcast. Both books explore the ramifications of Hitler’s decision to invade France, then attack Britain. Both examine the wartime leadership and postwar political defeat of British Prime Minister Winston Churchill. Both are set in Europe, especially the United Kingdom, between 1938 and 1946. Beyond that, they tell very different stories. 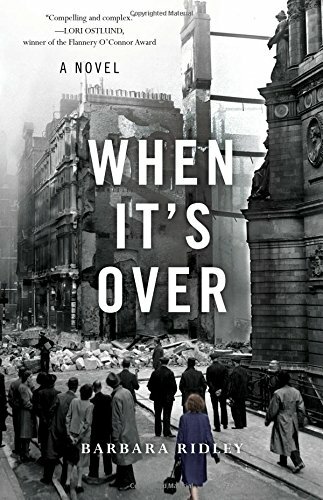 In When It’s Over Barbara Ridley traces the experiences of Lena Kulkova, a young Czech woman who accompanies her socialist boyfriend from Prague to Paris, then follows him to Britain just before the Nazi forces invade the French capital. As Lena copes with life in a new country, itself threatened by war and increasingly suspicious of strangers, she yearns to reconnect with the family she left behind in Czechoslovakia. 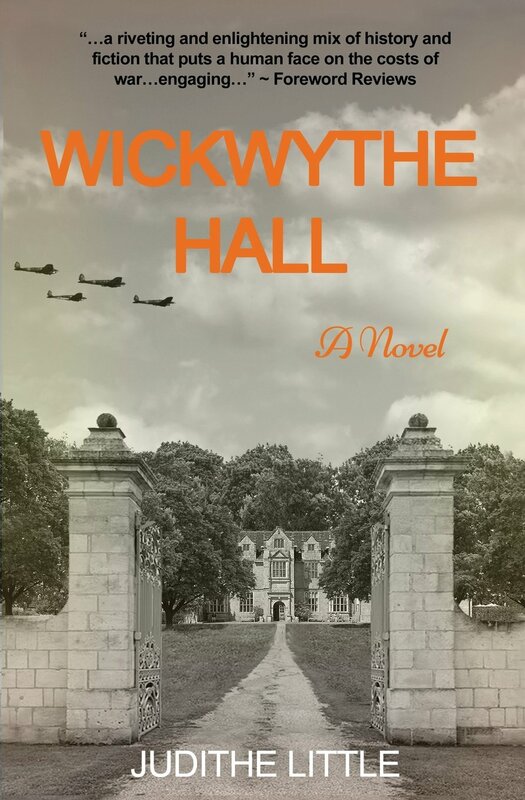 But only after the war, as socialism strengthens its hold on the British working class and threatens the political career of Prime Minister Winston Churchill, does Lena discover the fate of those she loves. Wickwythe Hall focuses on a crucial decision in the summer of 1940. When Hitler invaded France and the Vichy government agreed to collaborate with the Nazis, the British feared that the French navy would be co-opted and turned against them. Churchill issued an ultimatum to the French: turn over their fleet, sail it to a distant port, or see it annihilated. When the French, insisting they would not hand over their ships to the Germans, refused to negotiate, the British navy destroyed the fleet at Marseilles, with great loss of life. Through three overlapping and intertwined narratives Judithe Little reveals the short-term and long-term effects of this decision, and the war of which it formed a part, on individual lives. Last but not, as they say, least, I am celebrating the imminent release of The Vermilion Bird (Legends 4: South) by placing the Kindle versions of the previous books in the series on sale for $2.99. The Winged Horse (Legends 2) promotion runs from Monday, November 27, at 8 AM PST (8 AM GMT in the UK), through Sunday, December 3, at midnight PST/GMT. The Swan Princess (Legends 3) goes on sale at 8 AM PST/GMT on December 4, through Sunday, December 10, at midnight. The Golden Lynx (Legends 1) is always priced at $2.99 and is available at Barnes and Noble and the iTunes Store as well as Amazon.com. This will be the last promotion until the release of The Shattered Drum sometime next year, although I do plan to bring out a box set of the first three Legends novels sometime in the next few months. So don’t miss your chance to get all three books at this $2.99 price. 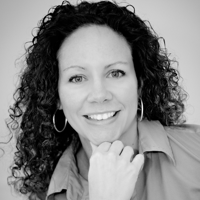 I interviewed Laura Morelli late in 2014 about her first novel, The Gondola Maker. 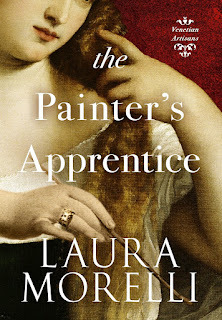 Now she has a new release, set in the same city (Venice) a generation earlier: The Painter’s Apprentice. I loved both books, so I was delighted when she agreed to answer a few questions about them. Even more than the first, the second is a real page-turner. So make sure to add it to your list of Hidden Gems. You can find out more about Laura at her website. There is also a short bio at the end of this post. The Painter’s Apprentice takes place in the same historical world as your earlier book, The Gondola Maker. What made you decide to set another novel not just in sixteenth-century Venice but using some of the same characters? Good question! There were a few questions raised in The Gondola Maker that I wanted to explore further. Plus, the setting of 16th-century Venice is so rich that I feel I could place an infinite number of historical novels there. The Painter’s Apprentice is a prequel to The Gondola Maker and is set during a real plague epidemic that spread across Venice in 1510. In the story, 19-year-old Maria wants nothing more than to carry on her father’s legacy as a master gilder. Instead, her father has sent her away from the only home she’s ever known to train as an apprentice to a renowned painter. Maria arranges to return to her family workshop and to a secret lover back home. 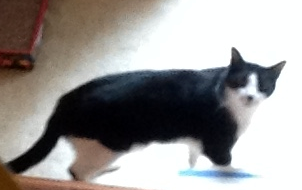 But the encroaching Black Death—not to mention some conniving house servants—foil her plans. 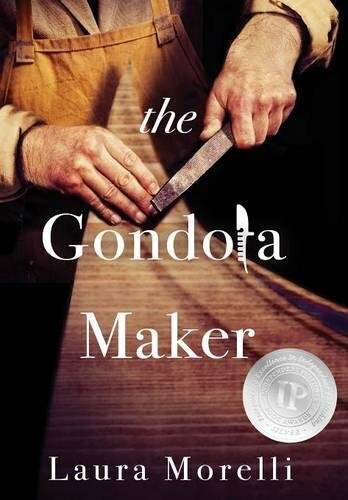 In The Gondola Maker, the main character, Luca, is unmoored by a tragedy in his father’s boatyard and eventually makes his way into the employ of a noted painter. In that painter’s boat slip lies an old, dilapidated gondola that Luca recognizes as a craft from his grandfather’s generation, made in his own family’s boatyard. He is compelled to bring the old boat back to life. As I wrote The Gondola Maker, I began to wonder myself how that old boat got there, and why it was in such bad shape. The painter tells Luca a story about how the boat was wrecked by an evil boatman hired by his father, and how, after that terrible event, it had never been repaired. I wanted to go back a generation to the painter’s father so that I could imagine what really happened to that old boat. The story of The Painter’s Apprentice began to formulate inside my head. Could you tell us a bit about that earlier novel before we talk about the newest one, released in November 2017? I lived in northern Italy for four years and spent a lot of time in Venice. The inspiration for The Gondola Maker came as I was researching another book, a shopping guide called Made in Italy, back in 2001–2002. I traveled all over Italy, from the Alps to the islands, talking with contemporary artisans who still practice centuries-old traditions like Murano glass, Florentine leather, Sicilian ceramics, Roman goldsmithing, and of course, Venetian gondolas. Over and over, the extraordinary people I interviewed told me how important it was to pass the torch of tradition on to the next generation. I began to wonder what would happen—especially centuries ago—if the successor were not able ... or willing. The character of the gondola maker and his son began to take shape. As I began to work on The Gondola Maker in earnest, it was an opportunity to take a deeper dive into the primary historical sources about the history of the gondola, the world of the guilds or artisans, and the role and reputation of boatmen in Renaissance Venice. Maria Bartolini, the heroine of the new book, comes from a family of gilders. In 1510, the family fears that theirs is a dying profession. What did they do, and why do they fear that they will be replaced—and by whom? Through the mid-15th century, Venetian painting relied on a medieval artistic vocabulary. The art of gilding was integral to painting with colored pigments, and therefore most “paintings” were actually collaborative works between gilders, carpenters, and painters specialized in working with egg tempera-based pigments. One of the major artistic shifts in Venetian painting over the course of the 16th century was the preference for painting on canvas rather than on poplar or alder wood panels, and for oil rather than egg-based tempera paints. This change happened gradually, starting in the last decades of the 15th century. 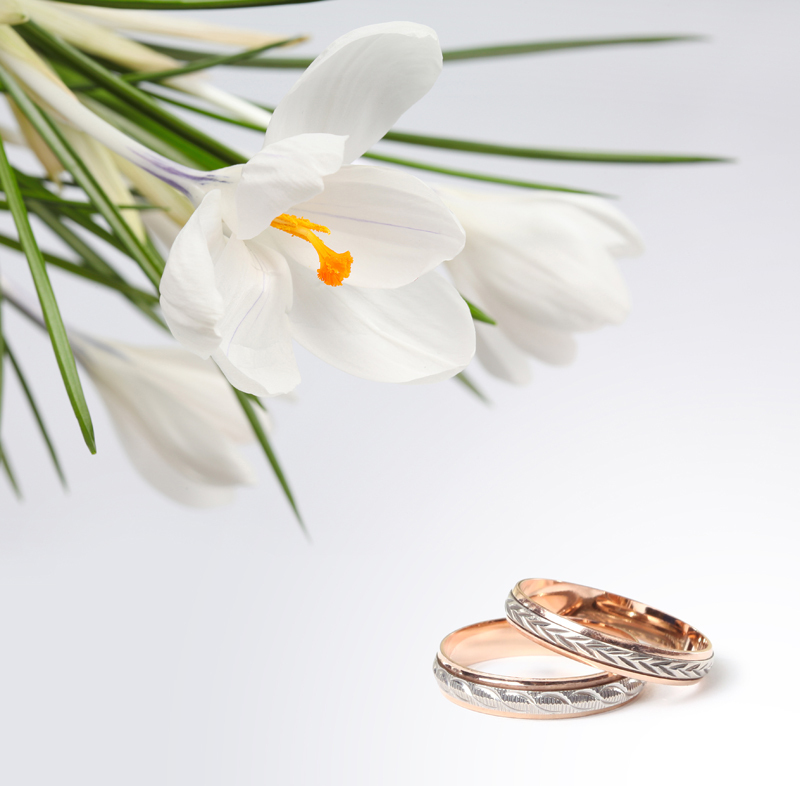 What it meant for a family like Maria’s was that gilding suddenly seemed old-fashioned. They feared for the future of their trade. Fifteenth-century Netherlandish painters had already pioneered the use of oil as a medium for pigment. Traveling artists—Venetians headed north and northern painters lured to the Most Serene Republic—transferred this new knowledge of materials and artistic possibilities. Oil afforded translucency and brilliance of color, built up in thin glazes that dried slowly. These rich visual effects, combined with greater versatility and durability of oil-based paints, appealed immediately to Venetian painters. Oil paint allowed painters to apply color both in fine detail as well as thick impasto. It allowed deeper, more realistic plays of light and shadow, more convincing rendering of three-dimensional form. And perhaps most important of all, Venetian painters saw the potential to take their rich, saturated colors to the next level. As it turned out, the art of gilding never died. Although it was no longer used extensively in paintings, Venetian gilders turned to making frames as well as small, exquisite luxury objects like the gilded boxes that play a central role in the story of The Painter’s Apprentice. Maria’s father apprentices her to Master Trevisan, a painter. Ostensibly he wants her to master the painter’s use of color, but that, we soon discover, is not the only reason Maria has been sent away from home. What is the other reason? In The Painter’s Apprentice, Maria finds herself apprenticed to Benvoglio Trevisan, a noted Venetian painter. A generation later, in The Gondola Maker, Luca also finds himself in the same house, working as a private boatman to Master Trevisan’s son, now a successful painter in his own right. This is a spoiler, but the real reason that Maria has been sent to the Trevisans’ painting studio is that she has become involved with a young man apprenticed to her own father. When her father discovers the relationship, he apprentices his daughter to the painter under the guise of training her in colored pigments, when his real motivation is separating her from her secret lover. Maria’s love affair can’t be easily resolved by the usual rapid marriage, even though her lover is a master goldbeater. Why is that? Cristiano—Maria’s lover—is a biracial man. As a person of color, Cristiano already faces hurdles to become recognized as a master goldbeater or battiloro. As much as Maria’s father respects Cristiano for his skill as a master artisan, he could never accept him as a potential suitor for his daughter. During the Renaissance, the Venetian Republic was renowned as a model of cultural and religious tolerance, at the same time that its authorities locked up Jews at night in the world’s first ghetto, and many of its people took the branding iron to their own slaves. The challenges of making a living—and making a life—were real indeed for people of color. However, apart from illegitimate children and master-servant situations that occasionally appear in the historical record, there are actually a few documented cases of lasting interracial relationships across 16th-century Italy. In Renaissance Venice, interracial relationships would not have been unheard of, even if they were not readily accepted. Things get really sticky for Maria when the Black Death appears in Venice. What happens then? While the painter’s boatman is portrayed as the bad guy, the real villain in this story is the bubonic plague. Early on, the neighborhood where Maria’s father lives is barricaded to prevent the spread of the disease, which has only begun to appear. That means that Maria can no longer see her family and is also cut off from her lover. Being unable to communicate or reach her loved ones becomes ever more complicated as the story progresses, because Maria is keeping a devastating secret. As a waterlogged city, a major maritime port, and Europe’s gateway to the rest of the world, Venice was particularly vulnerable to plague outbreaks. Between 1456 and 1528 alone, there were 14 documented plague outbreaks in the city. The 1510 outbreak, the setting for The Painter’s Apprentice, took the life of 32-year-old Giorgione, one of the city’s most celebrated painters, who we now know died on the pesthouse island known as Lazzaretto Nuovo. At that time, only about a quarter of the people who were quarantined on the lagoon islands returned home. We can only imagine the terror that such a disease must have inspired when it began to spread across the city. Do tell us the origin of that glorious cover. It looks like a Titian painting. Is it, and if not, where does it come from? Good job! Yes. The cover is adapted from a work by Titian called Woman with a Mirror, painted about 1515 and now in the Louvre in Paris. Doesn’t she look just like Maria? My talented designer, Kerry Ellis, also created the cover of The Gondola Maker. That cover was a finalist for the Da Vinci Eye Prize, which recognizes great cover design. So many readers have asked, “What happens next?” after reading The Painter’s Apprentice and The Gondola Maker. I am well underway with the next story in the Venetian Artisans series, which is set on the famous glass island of Murano. In addition to writing about made-up characters, I have begun to write historical fiction based on real artists of the Italian Renaissance. Writing about real people is a special challenge, and I’m having a blast with it. Thanks for reading! Thank you so much for taking the time to answer these questions! Thank YOU for taking the time to read and cover this story. I really appreciate it! LAURA MORELLI holds a Ph.D. in art history from Yale University, has taught college students in the US and in Italy, and currently produces art history lessons for TED-Ed. She authored a column for National Geographic Traveler called “The Genuine Article” and has contributed pieces about art and authentic travel to CNN Radio, The Frommers Travel Show, and in USA Today, Departures, and other media. Laura is the author of the Authentic Arts guidebook series that includes the popular book Made in Italy. Her fiction brings the stories of art history to life. Her debut novel, The Gondola Maker, won an IPPY for Best Historical Fiction and a Benjamin Franklin Award. A few months ago, in “The Story Behind the Story,” I discussed themes in novels. But themes also show up—for me, at least—in images. These images range from cover graphics to metaphors and symbols that recur throughout the world of a given story. Often the two are connected: the image sparks the recurring metaphor; the metaphor or symbol gives rise to the image that becomes the cover and even the title of a given book. Because of the way my mind works, I often see the image first, and I have to explore it to find out what it’s telling me about the story. Of all my novels so far, that was most true of The Swan Princess, which took a long time to incubate as I probed meanings of swans and swan princesses throughout the world and tried to imagine what the relevance of those legends and images might be to my series characters. What then, is the relevance of the Vermilion Bird? As I explain in the Historical Note to Legends 4, the Vermilion Bird is a variation on the phoenix. 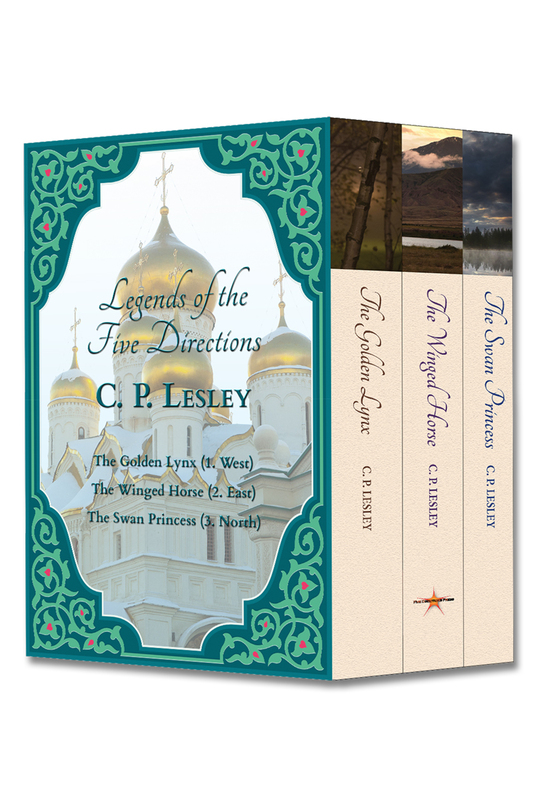 Each of the Legends of the Five Directions novels links to one of the cardinal directions in Eurasian cosmology (west, east, north, south, and center, in that order), each of which has an associated element, color, and animal. Traditionally, the South connects to fire and thus to red and to the firebird, the phoenix or Vermilion Bird. Just to confuse things, the Chinese have a second phoenix, Fenghuang, which through its association with the Dragon became a symbol of the imperial house, of the empress and emperor and, through them, of a balanced and therefore happy and prosperous marriage. Like all things imperial, Fenghuang represents the center, the source of harmony (hence the old name for China: the Middle Kingdom), and is associated with yellow or gold, the imperial colors. But since I’m a novelist and not a cosmologist, I happily blend the two phoenixes without worrying about this distinction overmuch. Behind all this background lies a simple point: whereas we in the West think of the phoenix primarily as a symbol of immortality, along the Silk Road(s) it has far richer associations. Fire, anger, and passion, of course, but also good fortune and happiness, striving and achievement. Fenghuang even rewards moral behavior. All these elements show up in my novel, as does the theme of rebirth or renewal. Maria, the heroine, takes another stab at marriage, despite her disappointing experience the first time around. Alexei, the hero, has to remake his life after his long-term allegiance explodes in his face. Fyodor Koshkin, Maria’s father, struggles to reestablish his place at the Muscovite court, but he also finds himself in the throes of desire and jealousy in his second marriage, contracted purely for love after twenty years or so in a conventional arrangement that, however appropriate and fruitful, for him proved ultimately unsatisfying. Relationships grow, mend, and break, but the themes of revival, prosperity, and virtue (or lack thereof) intertwine throughout the book. On the political side of things, in contrast, the skies are darkening. Two opponents, driven by fear, turn a simple misunderstanding into a steadily escalating crisis that no attempt at negotiation seems capable of resolving. Here the power of raw emotion pits family members against one another, and the inability to find harmony in the end damages both sides. The effects of that crisis give rise to the story—and the image and the theme—for the next book, The Shattered Drum, already close to completion and due for release next year. Meanwhile, I hope you enjoy this next journey in the company of the Vermilion Bird, which, although it does not technically take place in the South, relies on the destabilizing presence of refugees from that region to set its cast of characters in motion. As to when you can expect the journey to begin, stay tuned. I’m predicting three or four weeks, tops. Phoenix purchased from Shutterstock.com, no. 56421991. One of my earliest memories is of myself and my younger sister at my grandparents’ golden wedding anniversary party. I don’t know how old I was—probably around five. I recall sitting under a table with my sister while the grownups celebrated around us, as well as gold decorations and cake. At the time, the idea that anyone could remain married for fifty years seemed inconceivable. In fact, at five the whole concept of fifty, never mind years, is pretty inconceivable. Yet it happened. And went on: the marriage continued for another decade or two until my grandfather died at the age of ninety. Nor were my grandparents alone in that. My parents married on this day in 1951 and remained together to the end, almost fifty-five years later. My brother, too, married on this day a few years ago. It was less than a week after Super Storm Sandy, and Sir Percy and I drove to the ceremony along miles of roads flanked by woods that looked as if a giant had decided to play pick-up sticks with the forest to a hotel with generator power but not much else. It was one of the best weddings I’ve ever attended, because everyone there rejoiced at spending time with family and friends. Some had enjoyed their first showers and hot meals in days. Expectations were low and enjoyment sky-high. This is not quite the wedding that Maria Kolycheva faces at the beginning of The Vermilion Bird, although for her sake we hope she will succeed in creating that kind of marriage. The fourth Legends novel—which should be available in print and for preorder right around Thanksgiving, with a formal release date in early December—dumps Maria right into a mess created by her own preconceptions and prejudices. Like most women of her time, she has not selected her own husband in the way we do now. Instead her father has picked him out for her, with the goal of advancing the family’s prestige in the Russian court (and, not coincidentally, Daddy’s own future in that court). The battle lines are drawn at Maria’s bride’s party the day before. As you might expect from a novel, events go downhill from there, as Maria struggles to force the world to meet her expectations and the world pushes back. But never fear, the ancestral grandmothers still know what they’re doing, and the forces of good will once more triumph—whatever that means in the context of this particular story. So mark your calendars, and keep an eye open for book teasers and other promotions as the time approaches. I will be announcing sales of previous books in the series and perhaps a surprise associated with the launch. And remember, however a marriage starts, it’s how it ends that counts. Maria and her Alexei may have a long road ahead, but they do have a few things going for them—if they can stay alive long enough to figure out what those are. Images © Five Directions Press and Clipart no. 109357139. As many of us will remember from high-school English classes or those obligatory surveys of the greats of world literature, the poet and playwright William Shakespeare dedicated a series of sonnets to a mysterious “dark lady.” Like Shakespeare himself, the identity of this poet’s muse has long been debated, not least because the Dark Lady sonnets (nos. 127–154) are somewhat mixed in their portrayal of their subject. So mixed, in fact, that one of the scholarly arguments insists that the Dark Lady was in fact a young man (a serious stretch, in my view—why can’t a dark-haired lady, beautiful or not, attract love?). The next one begins: “Thou art as tyrannous, so as thou art, / As those whose beauties proudly make them cruel,” another charge hardly offset by the next two lines—“For well thou know’st to my dear doting heart, / Thou are the fairest and most precious jewel.” We have to hope that the Dark Lady had a sense of humor equal to her musical skills, extolled in Sonnet 129. It’s fun to imagine the kind of woman who would have appealed to Shakespeare, as well as how she might have experienced the poet’s love and responded to these simultaneously gorgeous and problematic lines. In my latest interview for New Books in Historical Fiction I discuss the life of Emilia Bassano Lanyer, one of the more credible candidates for the position of Dark Lady and the protagonist of Charlene Ball’s wonderful new novel of the same name. So tune in and listen. We swear you’ll enjoy it more than high-school English. 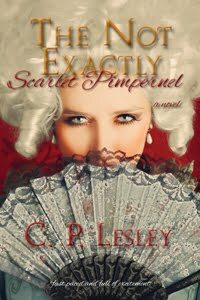 As usual, the rest of this post comes from New Books in Historical Fiction. Emilia Bassano loves many things: music, poetry, Latin, herbs. Born to a family of Italian musicians living in sixteenth-century London, Emilia benefits from early fostering in the household of a countess, where she acquires a love of books along with a top-flight education. A terrible assault leaves Emilia convinced she can never marry, and she becomes the mistress of a much older nobleman—Lord Hunsdon, the son of Mary Boleyn and King Henry VIII. Lord Hunsdon offers security, comfort, love, and protection from being dubbed a “masterless maid,” an illegal status in Elizabethan England. Emilia repays him with affection and respect, but it is when she meets the poet and playwright William Shakespeare that she discovers her passion: not only for the poet but for poetry itself. 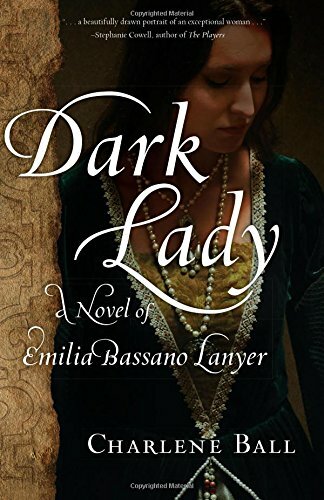 In Dark Lady, Charlene Ball builds on the true story of a remarkable woman, one of Europe’s early feminists as well as the possible model for the “Dark Lady” of Shakespeare’s sonnets—reimagining and enhancing Emilia’s biography with her own copious knowledge of the period and the literature. The result is a fascinating glimpse of a world that at times appears reassuringly past and at others all too jarringly present. It’s a cliché to say that truth is stranger than fiction or, in the more down-home version, “you can’t make this stuff up.” Yet as a historian and a historical novelist, I find it endlessly amazing and delightful to realize just how true the cliché can be. Not only does history in general provide an endless series of dramatic plot points to enhance my books—women warriors, bandit chieftains, nomadic raiders, squabbling royals, fanatic monks, sorceresses, poisoners—but once in a while it throws up something I had not even imagined was possible. Such was the discovery of sixteenth-century spy chambers during an archaeological investigation in Moscow. I saw the reference first on Pinterest, of all places, and set off at once in search of more information. Sure enough, to cut a long story short, in April 2017 a group of scholars working in the center of Moscow discovered hidden listening chambers masquerading as storerooms, probably for food, in the surviving remnants of Moscow’s second ring of walls. For various reasons, they concluded that the chambers must have been present as part of the original construction, which took place in the time period in which my Legends novels are set—1535–1539, to be precise—at the orders of Grand Princess Elena Glinskaya, the mother of the future Ivan the Terrible. Ivan came to the throne at the age of three, and his mother ruled on his behalf from 1533 to her death in 1538. Now, you need to know a couple of things about these walls. The first ring surrounds the Moscow Kremlin; although the seventeenth-century tsars gussied up the towers with gingerbread turrets and the like, the basic structure was built for military defense, under the direction of Italian architects, in the late fifteenth century. It hasn’t changed much since except for regular repairs and the application of coats of stucco or paint to suit the aesthetic tastes of different time periods. The second ring surrounded what was originally the trading quarter outside the Kremlin, an area now called the Kitaigorod. It extends out from today’s Red Square, then a moat and a marketplace, and it is the area where most of my characters live. By the 1530s, noble families were already moving out of the Kremlin in search of more space for their orchards and armories and what not, so they settled in the Kitaigorod, pushing the small merchants further out in a Muscovite version of gentrification. By the time Elena and her advisers decided the city needed a second ring to protect it, artillery had become a major concern. So the Kitaigorod walls were built to withstand serious firepower. 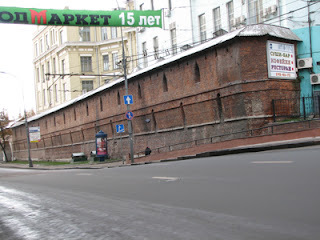 Designed by the Italian architect Pietro Annibale—who later fled to Livonia complaining that the grand princes and grand princess had refused him permission to leave the Russian lands, a not uncommon complaint from foreigners who came to offer their services—these walls stood for four hundred years. They’d be there today if Stalin hadn’t decided to blow them up with TNT to make room for some of the ugliest office buildings the world has ever produced. He allowed two small fragments to remain, and remain they do, impregnable as ever. Unless a future ruler comes along with more TNT, they’ll probably still be visible when the Last Trumpet sounds. But even Stalin couldn’t destroy the foundations, and that’s where the archaeologists decided to dig. Whether their decision had to do with the current government’s reputed plans to rebuild the ancient wall, I don’t know. But I do know that they discovered vaulted chambers, hidden under the wall, that were acoustically designed in such a way that someone standing in the chamber could listen to what was going on outside without those under surveillance having any idea that they could be overheard. The question is: what were they used for? The official explanation, as presented on the Internet, is that people defending the city could listen to attackers and deduce what they might do next. Really? I’m a military commander from, say, Poland, and I decide to launch an attack on Moscow. I travel the whole way there, dragging artillery and siege engines and horses, somehow defeating people left and right; I scale an embankment higher than my head; I stand at the base of a wall six meters high with guys on top raining arrows and cannonballs and tar and boiling oil down on my head—and then I stop for a little confab on what would be the best way to take the city? I don’t think so. Even for defenders, it’s a questionable strategy. Surely they need to be manning the walls, not listening at keyholes, however cunningly designed. I have written before about the writers’ cooperative Triskele Books, whom we at Five Directions Press consider friends as well as respected fellow authors. 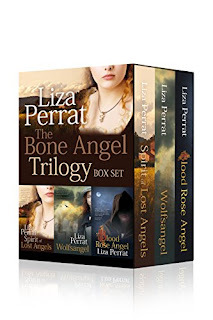 So it’s a special pleasure today to interview Liza Perrat of Triskele about her new e-book box set, which combines her three historical fiction novels set in the French village of Lucie-sur-Vionne. These are lovely books, filled with drama and conflict, that trace the lives of three quite different women facing very different problems yet bound not only by a talisman passed down from mother to daughter over the centuries but also by their determination to find a satisfying place for themselves in a larger world. In addition to the written Q&A here, don’t miss my podcast interview with Liza for New Books in Historical Fiction, where we talk about Blood Rose Angel and the series at greater length. Your Bone Angel Trilogy explores the lives of three women in a single French village at different times. Tell us briefly about these time periods and what drew you to the idea of focusing on one village from the 14th to the 20th centuries. I live in a rural French village and one Sunday walk along the riverbank I came across a small stone cross commemorating the drowning of two peasant children in the 18th century. I wanted to know more about them: to give them names, a family, a village, an identity. The children had died in the years leading up to the French Revolution, so that seemed the most obvious setting: the peasants versus the aristocracy—on the small scale of my story, paralleled with the larger, real-life scale. A dramatic backdrop for the dramatic event of their drowning. This was the inspiration for the first in the series, Spirit of Lost Angels. Once this book was finished, I realized there were more stories to tell about the village of Lucie-sur-Vionne and the farmhouse (L’Auberge des Anges). Hence two more books, set in different historical eras. For the second in the series, Wolfsangel, a visit to the town of Oradour-sur-Glane and learning of the tragic WWII crime that occurred there inspired me to set that book during the Nazi occupation of WWII, featuring the descendants of the family in Spirit of Lost Angels. 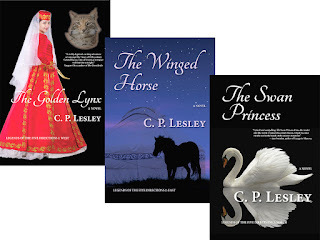 By the time I reached the third novel, I’d become intrigued with the medieval period. So the bubonic plague seemed a logical choice for the setting of Blood Rose Angel: one woman fighting against the village, symbolizing the people of the world battling against the greater enemy of the Black Death. I set this one in an earlier time period as I also wanted to explore the origins of the bone angel talisman that links the protagonists in each book. Victoire, the heroine of Spirit of Lost Angels, lives during the French Revolution. Who is she, and what essential conflict does she face? Victoire Charpentier is a poor village girl, and when her mother is executed for witchcraft and her father killed by a noble, she is forced to leave her village of Lucie-sur-Vionne to work as a domestic servant in Paris, where revolution is brewing. Despite suffering terrible abuse under the ancien régime, which incites her to join the revolutionary force gripping France, Victoire vows that one day she will rise above her peasant roots. The second heroine, Céleste, lives during World War II, another very dramatic period in French history. What is the central story of her novel, Wolfsangel? It is 1943, and German soldiers have occupied Lucie-sur-Vionne. As the villagers pursue treacherous schemes to swindle the enemy, Céleste embarks on her own perilous mission as her passion for a Reich officer flourishes. 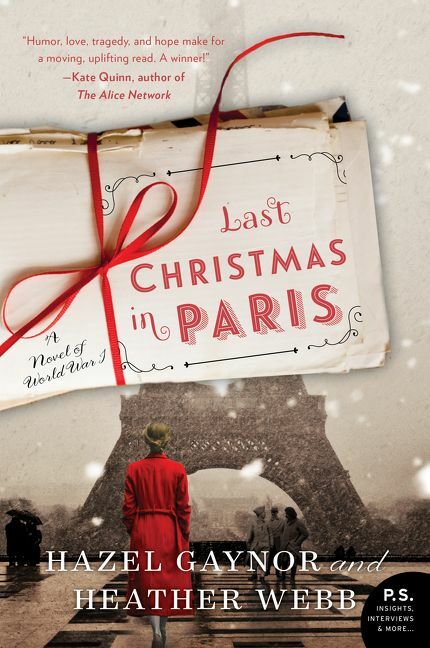 But when loved ones are deported to concentration camps, Céleste is drawn to the adventure and danger of the French Resistance. Eventually, she will be forced to choose: her love for the German officer or her fight for France. The decision she makes will shadow the remainder of her days. Last but not least, Héloïse, another strong woman, must cope with the arrival in Europe of bubonic plague—the disease we now call the Black Death. She is a healer, but the appearance of this previously unknown disease causes social problems as well as physical ones. What kinds of problems does Héloïse have to confront in addition to the plague itself? When she became a healer-midwife, Héloïse swore to care for and heal the sick, whatever the conditions. However, it is the 14th century, and a wife must obey her husband. When Héloïse’s husband forbids her to treat plague victims, sparks ignite between them. Héloïse must also battle the villagers’ suspicions that she herself cursed Lucie-sur-Vionne with the Black Death, which is killing everyone. Héloïse’s healing gift has become her curse. The three women are also bound by an amulet, the bone angel of the title. What inspired this element of the series? I wanted to have a timeless, mystical, and mysterious link between the women, down through the ages. And something distinctly feminine, not an object a man would wear or own. So these three stories feature the journeys of strong female protagonists, as well as the journey, and eventually the origin, of this bone-sculpted angel talisman. The Bone Angel Trilogy is available as a box set for Kindle, at an introductory price of $5.99, and in print as individual volumes. To find out more about Liza Perrat and her books, check her website, like her on Facebook, and follow her on Twitter. You can also find her on GoodReads, Google Plus, and Pinterest through the links on her site. Liza Perrat grew up in Australia, where she practiced as a general nurse and midwife. 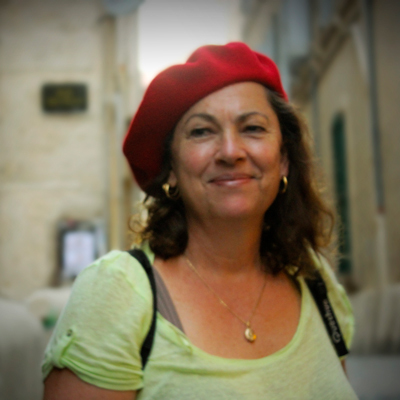 She has been living in France for over twenty years and works as a part-time medical translator and a novelist. She is the author of the The Bone Angel Trilogy, a historical series. Her latest book, The Silent Kookaburra, is a psychological suspense novel set in 1970s Australia. Liza is a co-founder and member of the writers’ collective Triskele Books and reviews books for Book Muse. There’s a lot of talk at present about bringing back the manufacturing jobs that once allowed a man with a high-school education to support himself and his family in reasonable comfort. 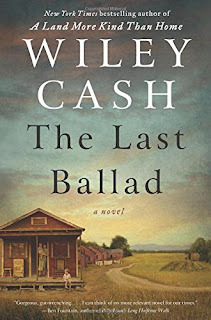 Wiley Cash’s new novel, The Last Ballad, reminds us that before the labor union movement of the 1920s and 1930s, manufacturing was far from the cure for all ills affecting working men and women. On the contrary: it paid minimal wages for days of backbreaking or mind-numbing work, with harsh penalties for everything from missing a shift to stopping the production line. Six days a week, Ella May Wiggins treks two miles to work twelve-hour night shifts in a cotton mill. Seventy-two hours a week for not much more than a dollar a day, but Ella May has no choice. Her husband has skipped town, not for the first time, leaving her with three small children and a baby on the way. She’s already lost a son to whooping cough, and when her daughter falls sick of the same ailment, Ella May takes a chance and skips her shift to stay with the child. She almost loses her job. Even much smaller violations of the rules, like walking away from her spindle for a few minutes, lead to her pay being docked—and this in one of the town’s more progressive factories. So it’s small wonder that Ella May responds when labor organizers come down from the North to encourage workers to strike for better conditions and salaries that might keep body and soul together. Based on a true story—the Loray Mill strike of 1929 in Gastonia, North Carolina, one of the few communist-led strikes in US history—The Last Ballad explores factory life in the 1920s from the perspectives of both workers and owners. But the heart of the story is Ella May Wiggins, a forgotten woman who put her life on the line to help others like herself achieve a better life but whose fellow townspeople—the author’s grandparents among them—long buried the memory not only of Ella but of the movement for which she fought.